As a highly trained and motivated Agent, I am able to assist you with all of your Real Estate needs. High level Client Oriented Real Estate Service consistently provided. 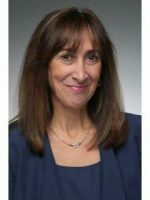 Address: 50 South Liberty Dr.
Nancy Lombardo is a licensed Associate Broker/Manager with Better Homes and Gardens Rand Realty, working and managing the Stony Point Office. A real estate industry veteran for 30+ years, she is well-regarded in the industry for her attention to detail, professionalism and commitment to personal service. She has represented both buyers and sellers in all parts of Rockland and Orange Counties, and has specialized in first time home-buyers and new developments. As a manager of the Stony Point Office for 17 years, she takes pride in the development and training of new and experienced agents. Nancy’s clients have always appreciated her honesty and her work ethic always answering her clients in a timely manner. She has patience, knowledge of the industry and most of all experience. As one client stated (“I can always count on you to answer your phone”). 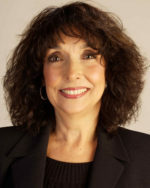 Nancy is a member of The Greater Hudson Valley Multiple Listing Service and the Rockland County Board of Realtors. She currently lives in New City with her wonderful dog Bo. Marla is an Associate Broker with Century 21 Full Service Realty… In Residential RE for 30 years!! As Century21’s most consistent top producer, Marla adds value for clients every day. With over 25 years of experience as a real estate agent in Rockland, her deep knowledge of the county allows her to structure the best deals possible for both buyer and seller clients. A lifelong resident of Rockland County, Marla has built a business of referrals and repeat customers that she works hard for everyday. Her integrity and reputation are her most valued business assets, and she strives to deliver superior results for every client, every time. Marla is also a dedicated mentor, consistently sharing her passion for real estate and her love for Rockland County with new agents and colleagues. Lynn Teger of eRealty Advisors, Inc. Serving and specializing in commercial property in Rockland County for the past 25+ years, Lynn has the expertise necessary to help you with your commercial real estate needs whether you are a landlord, owner, tenant or investor. Lynn specializes in assisting businesses find the right location for their company, and has successfully listed, leased and sold hundreds of all types of commercial properties in Rockland County, and beyond. A network built up over the past 2.5 decades coupled with Lynn’s expertise, are beneficial to any company, buyer, investor or tenant in their search for a location or the sale or leasing of their property. 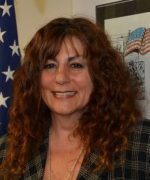 Lynn Teger is a public speaker, former radio show host and published writer, with articles published regularly over the years in the Rockland County Times, Hudson Valley Business Journal and the New York Real Estate Journal. With millions of dollars of closed real estate transactions in Rockland County, Lynn is the right choice for your company. Lynn has assisted clients through the arduous real estate transaction, offers property evaluations, negotiations that bring buyers and sellers to a win/win, expertise in bringing about resolution of issues and successful closings. Lynn handles retail, industrial, warehouse, office buildings, income producing property and land sales, as well as commercial property evaluations.